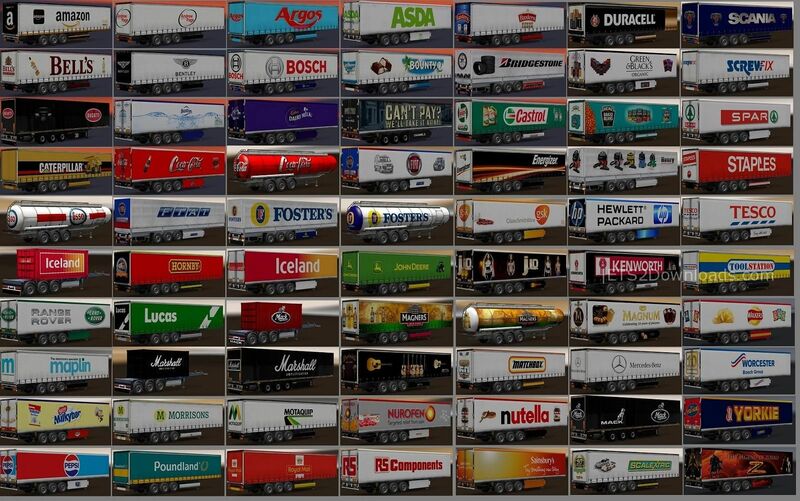 This pack contains 71 standalone trailers with high quality textures. This pack works well with Jazzycat’s mod! Changelog: V9.07 has released with more cargos, trailers, skins and fixed several bugs.